Let's Go Fishin' Toy Just $4.99! Down From $17! You are here: Home / Great Deals / Amazon Deals / Let’s Go Fishin’ Toy Just $4.99! Down From $17! Let’s Go Fishin’ Toy Just $4.99! Down From $17! Amazon has this Let’s Go Fishin’ Toy on sale for just $4.99 down from $16.99! Please note that this is an add-on item and will ship with a qualifying order of $25! 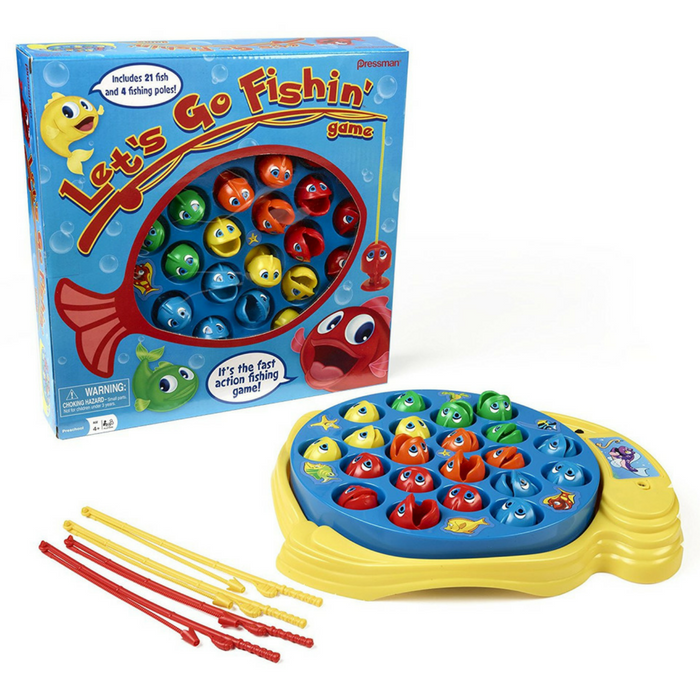 This Let’s Go Fishin’ game is the original version of a well-known and well-loved fishing game that parents will remember playing when they were kids. This classic kids game teaches hand-eye coordination as players use their mini fishing poles to try to catch the most fish. The challenge is that the board game spins, and the fish open and close their mouths. With 21 fish and 4 fishing rods, there’s plenty of fishing fun in this fast-paced competition, and these fish are as hungry as hungry hippos. Let’s Go Fishin’ is a fishing toy that’s great for playing at home or as a travel game–it will lure kids into playing over and over again. The original fishing game–it’s a classic!